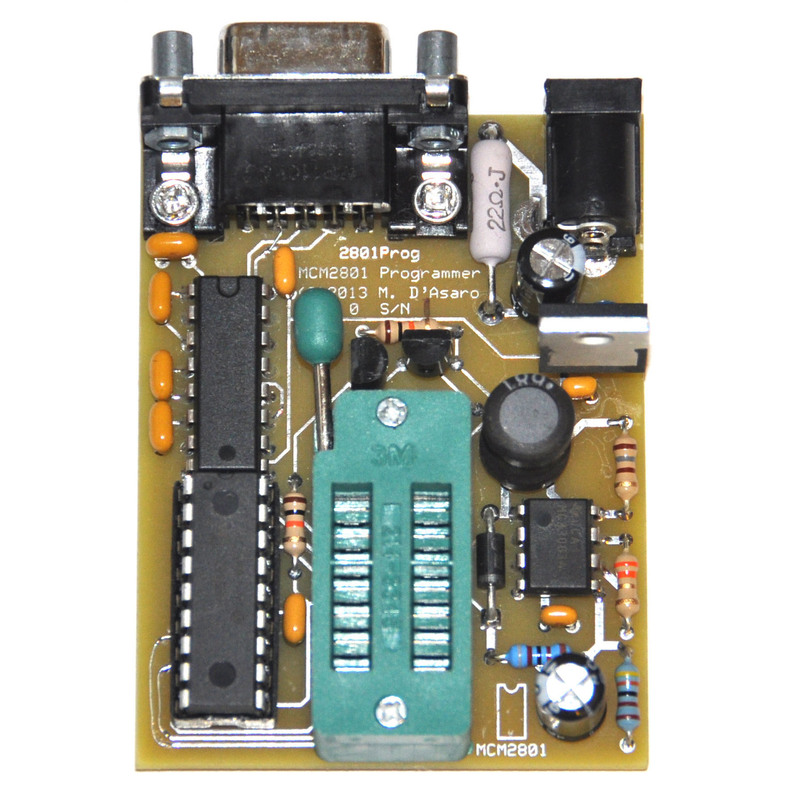 -A 74HCT138 decoder IC instead of the primitive diode-transistor logic used in the first version. 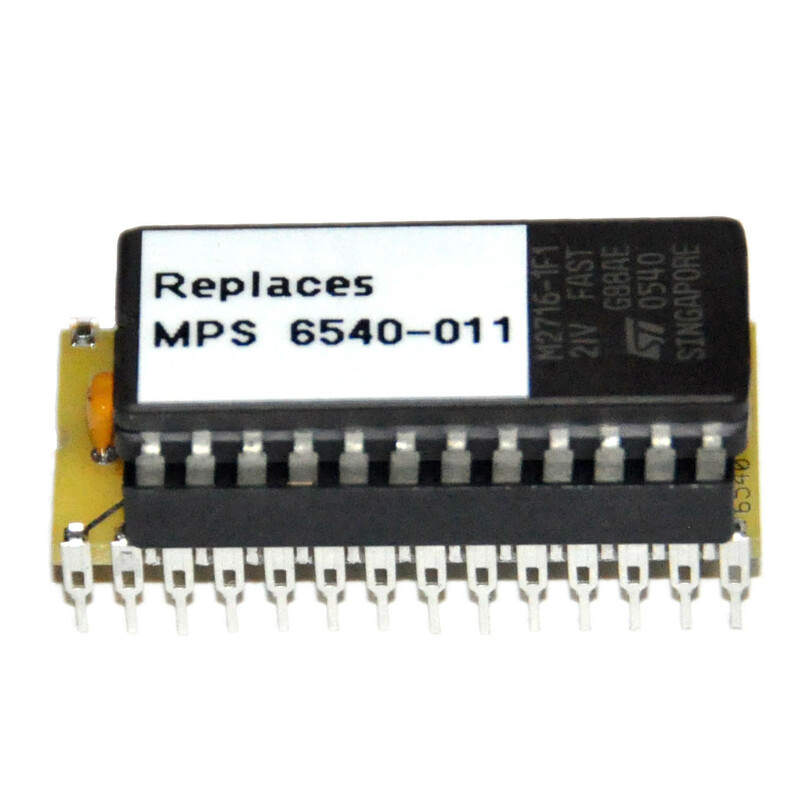 This means a more reliable replacement that more accuratly mimics the original MPS6540. 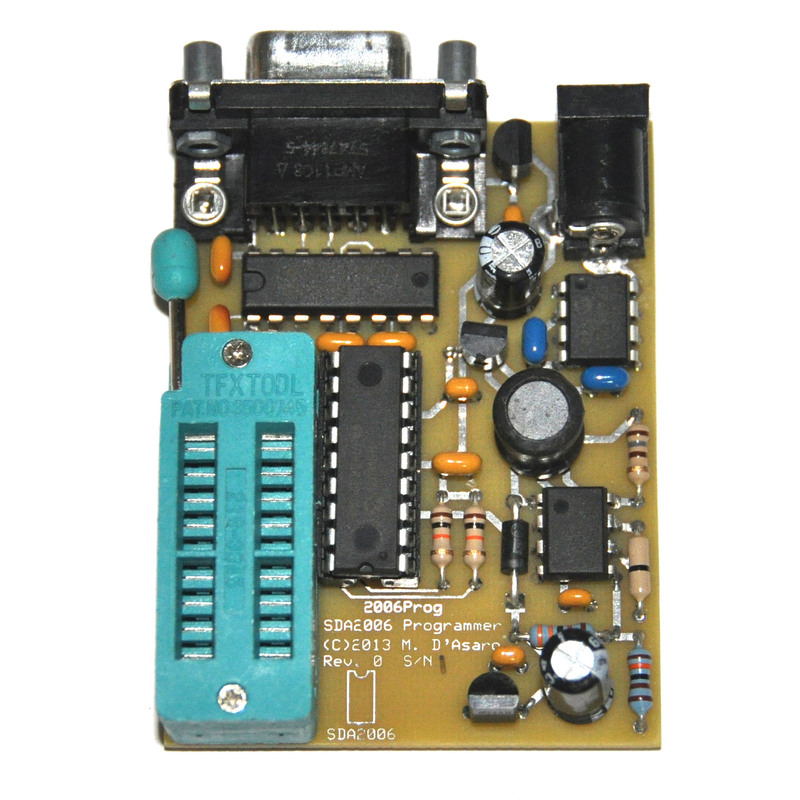 -The clock signal is now wired as an additional ‘chip-select’ line to more closly mimic the behavior of the original MPS6540. 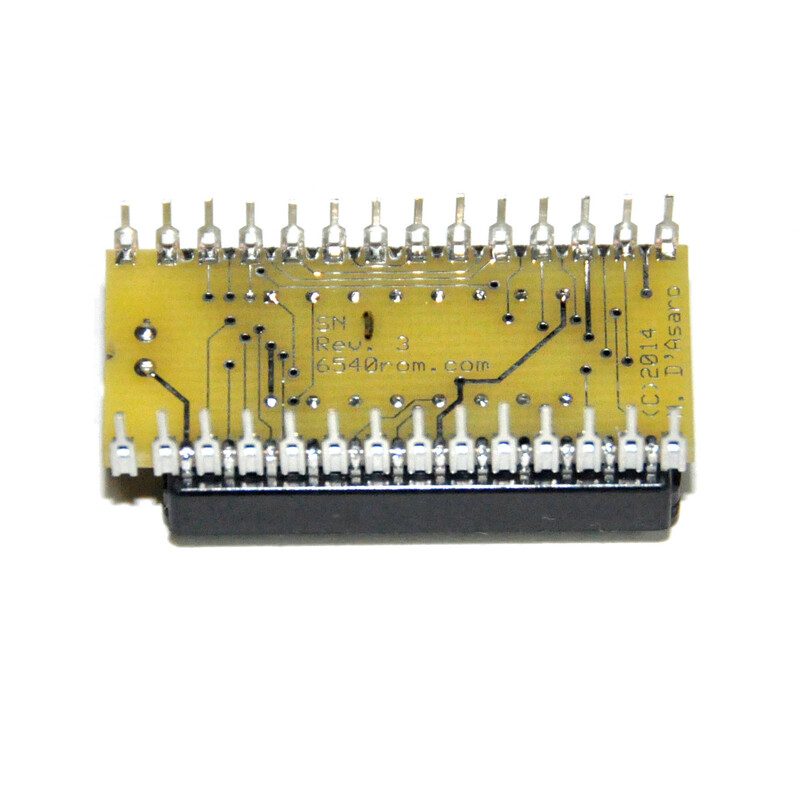 –Batten and Allen PCB edge pins instead of round wire pins. The old adapters would only work reliably in one of the two types of DIP socket used in the original PET. 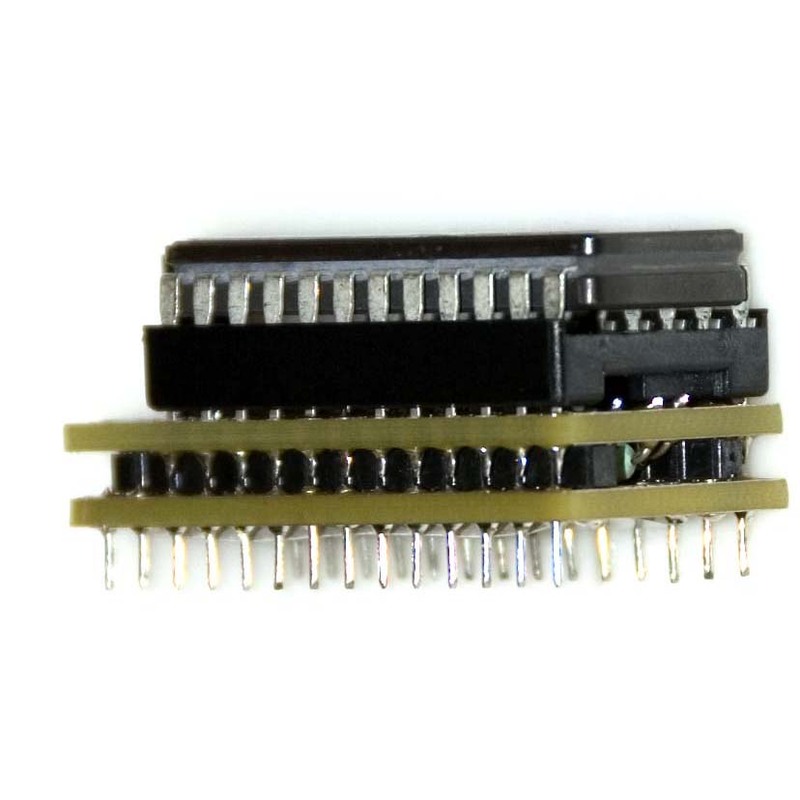 These new pins exactly replicate the shape of a proper DIP pin and thus will work reliably in any DIP socket without damage. No kind of through-hole pin can claim this! -An overall lighter weight and shorter design. This means that that part will be less likely to come loose from the socket if the PET is jarred. 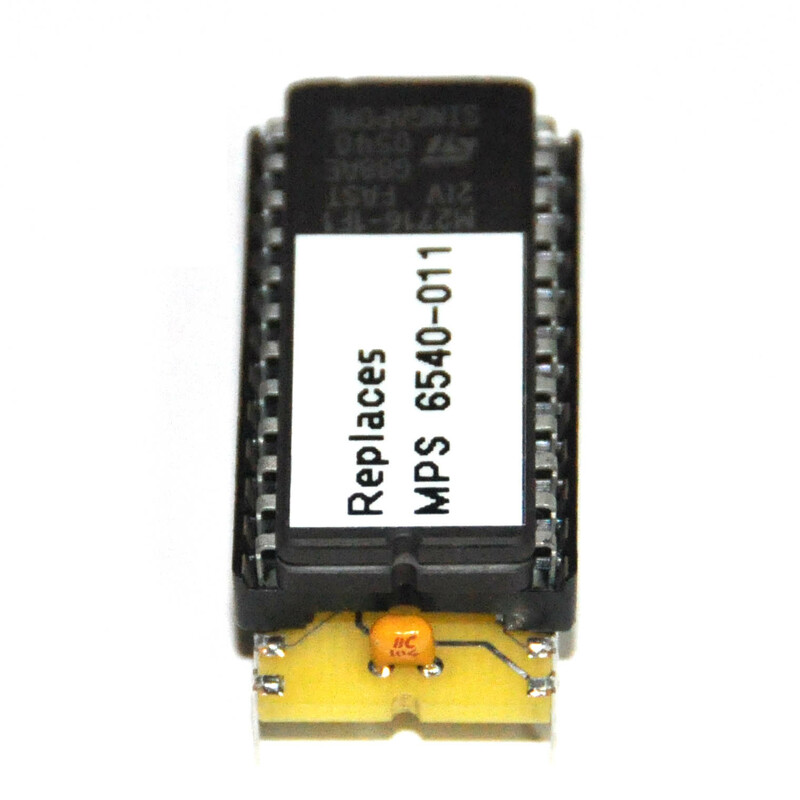 1) Are pin-compatible electrical replacements for the mps6540 (except that they do not require a clock signal.) 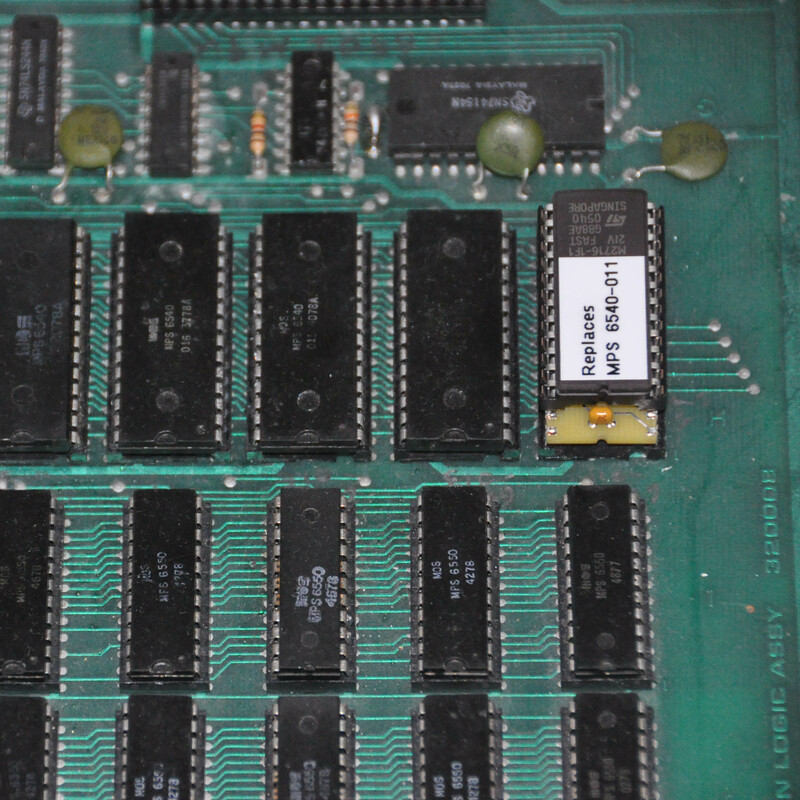 All five chip select lines are fully functional. 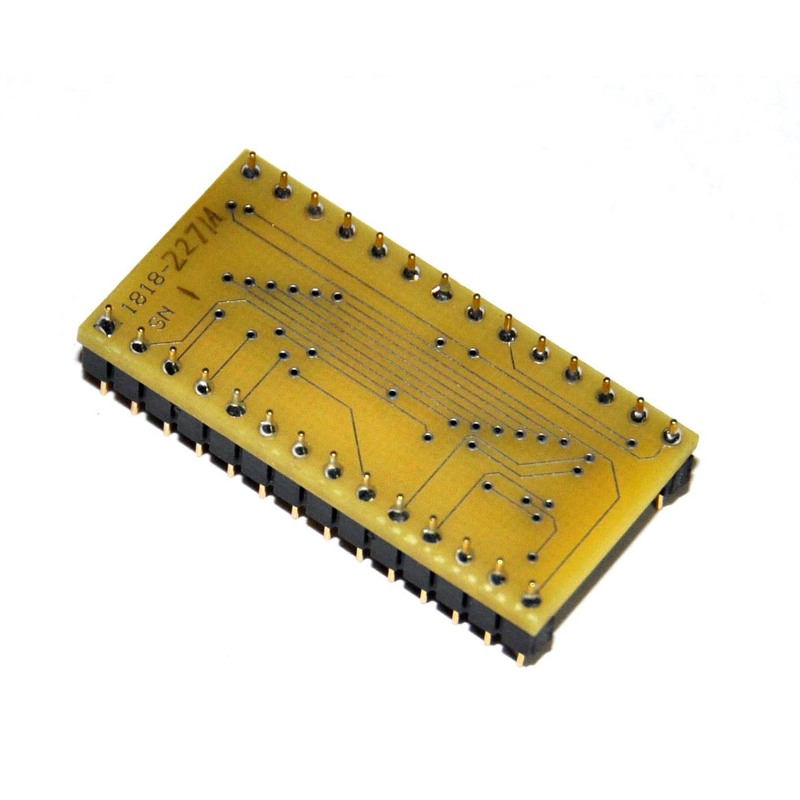 2) Have a small enough footprint that the adapters can replace any or all of the ROM chips in a PET 2001. 3) Use only vintage-style through-hole parts so they will not look out of place in a 1977 PET. 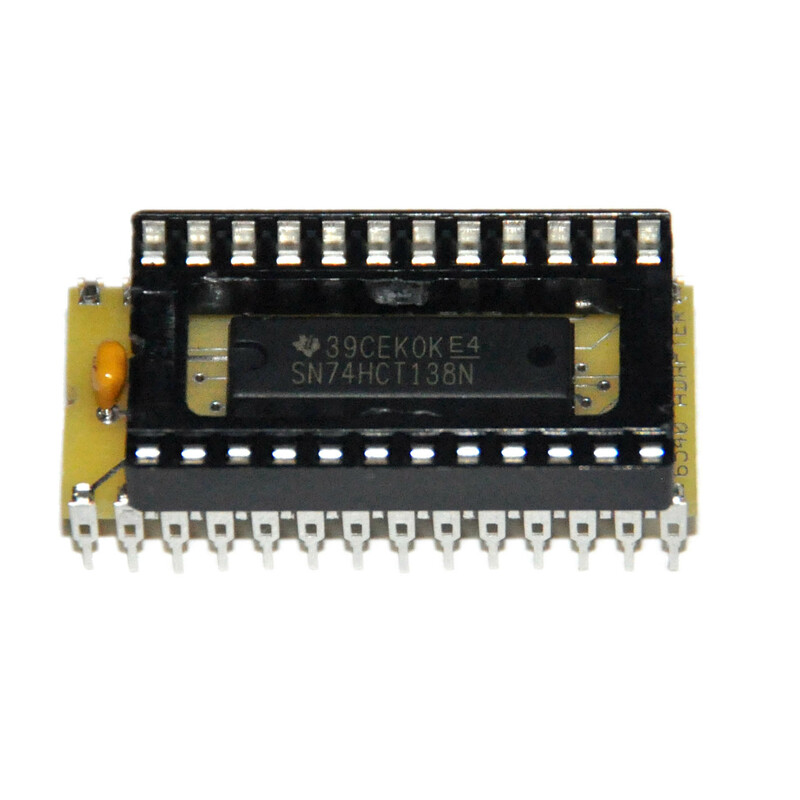 The one disadvantage of these adapters is that with a 2716 inserted they are about 0.3″ taller than the original 6540 chip and thus may not be mechanically compatible with all 3rd party expansion boards. Please make the appropriate measurements before ordering. 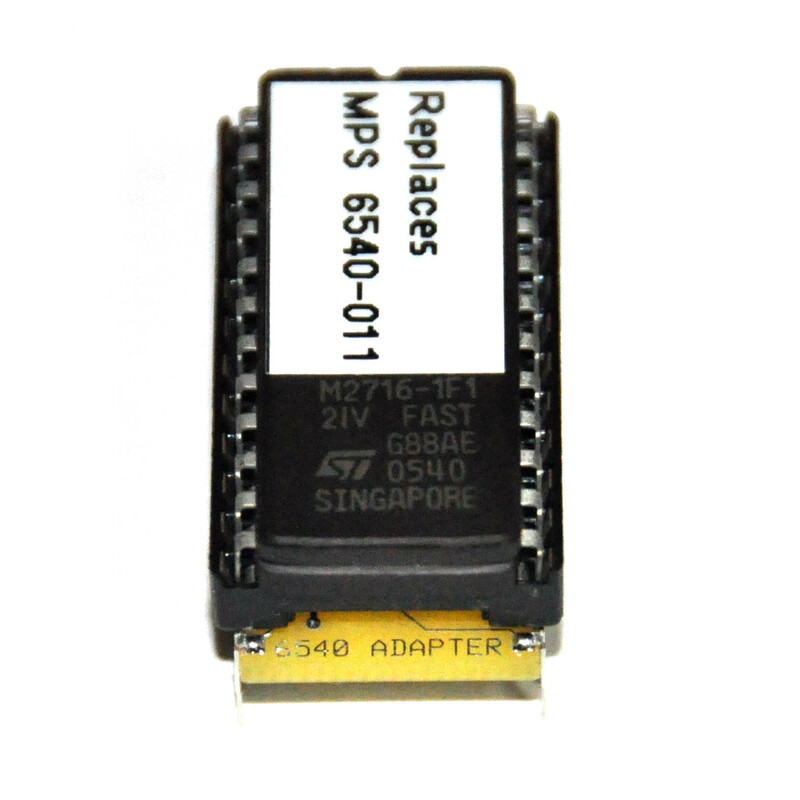 Be the first to review “MPS 6540 Commodore PET 2001 ROM Adapter (Obsolete Rev. 3 Version)” Click here to cancel reply.